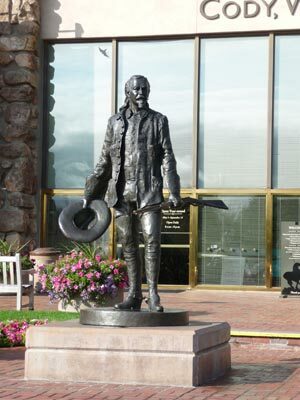 The Buffalo Bill Museum tells the story of Buffalo Bill who was really larger than life. It covers the true story, the myth, and his private life. Plus it tells the story of the American West--the cowboys, the dude ranches,and the myths of the west. 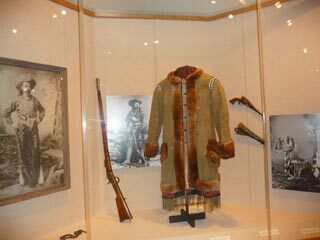 The museum makes clear that many of the characters we associate with the old west--Buffalo Bill, Wild Bill Hickcock, Annie Oakley, and Sitting Bull were all real. 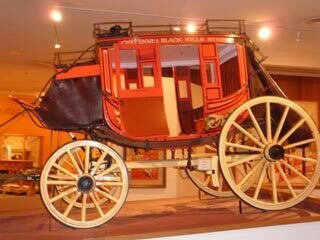 Part of their fame came from traveling with Buffalo Bill in his Wild West show. Never the less, they and many of the deeds we associate with them were real. 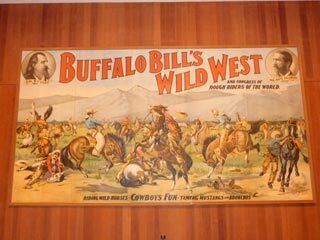 Buffalo Bill, for example, was a real hero, mined for gold, rode in the Pony Express, killed lots of buffalo, fought and befriended indians and was a great showman. 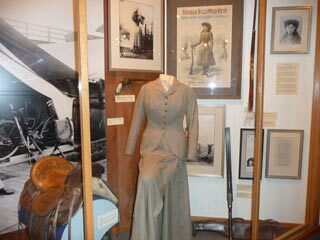 Visit The Buffalo Bill Museum Web Site for more information about Buffalo Bill and the old west. It's interesting that Cody is named after Buffalo Bill and is home to the Buffalo Bill Historical Center, yet he was born in Iowa and is buried on Lookout Mountain near Golden Colorado. My great grandparents were part of it--maybe not the wild part. They went west in covered wagons to help settle Western Colorado. And now here I am back in the Eastern US.